Width - 50 cm - 19.7"
Height - 50 cm - 19.7"
Modern wall mounted entertainment center. Unique furniture floating cabinets with push to open high gloss front doors. Materials: Front doors made of MDF - Medium-density fibreboard, Body made of composite wood matt. 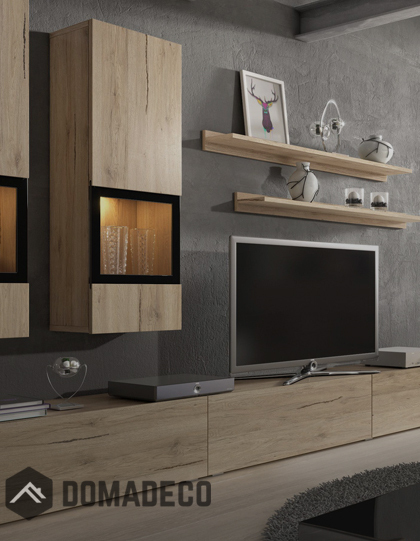 Special design wall unit entertainment center. Flat-packed furniture for self-assembly with easy manual instruction.